February is Black History month here in the United States. I believe the need to celebrate Black History is still great. African Americans went through so much injustice and through God’s grace, acquired civil rights, which gives dignity to this strong and valiant people. I am not a U.S. citizen, but I am of African descent, which makes me part of a people who fought and won freedom. I learned to be proud of my blackness through the influence of my parents and grandparents in Brazil. They also taught me that the color of my skin does not equal inferiority. The most important thing in life is to look at the author and finisher of my faith, a God who has a wonderful plan for my life. I have lived in the U.S. for 17 years and have learned many things about my upbringing in Brazil. One thing I noticed after moving to the U.S. is that my paternal great-grandfather was black. I did not notice it before because there was no need to question the skin color of my family members. Living in a society that at times separates us because of skin color changed the ways my eyes looked at family albums. I moved to the U.S. and looked at this picture. Another thing I experienced firsthand is that some light-skinned Brazilians living in the U.S. are prejudiced against black Brazilians. After experiencing a bad situation of racism in New York, I became hesitant about talking to light-skinned Brazilians because I am afraid of discrimination. I am asking God to change my heart. I know not all people discriminate. Before I had kids, I was off work and on my way to walk around a lake. I heard there was a Brazilian visiting my workplace, so I decided to say “hi.” I was wearing a T-shirt and jogging pants. He looked at me up and down and asked if I cleaned the hotel where we were. These stories are only to show you that racism also exists among Brazilians. No matter where people suffer this injustice, God teaches us an unchangeable principle. I believe God, our creator, loves all of our diversity. God created us the way we are on purpose, and God’s love is everlasting. Humans are not perfect, but God is just. Romans 12:21, NRSV, says, “Do not be overcome by evil, but overcome evil with good.” I believe the Civil Rights Movement led by the Rev. Martin Luther King Jr. was a great example of overcoming evil with good. I thank God for God’s plan of equality and peace on earth. Black History Month is important, but not only in the United States, because we can pause to celebrate the achievements of blacks all over the world. 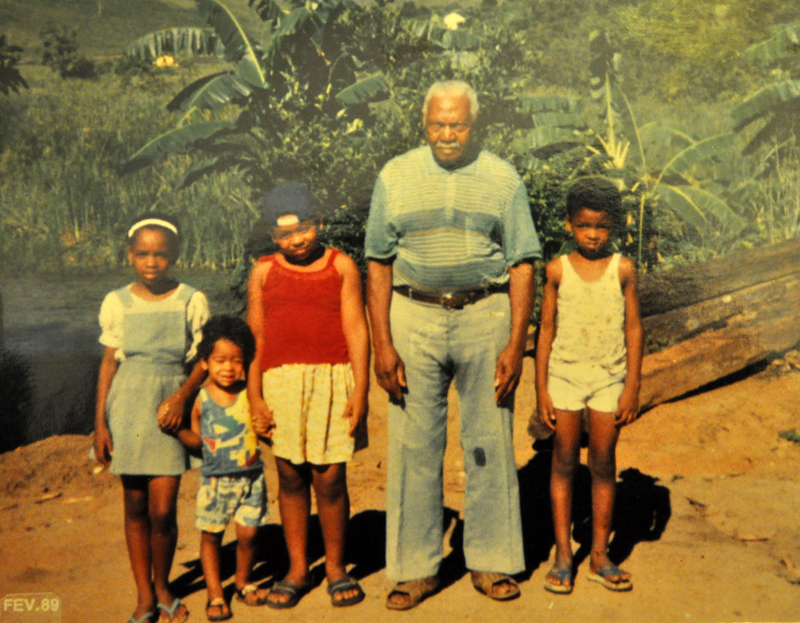 It is important for me to teach my three children to thank God for the freedoms we have as blacks; to share the histories of blacks in Brazil, the U.S. and Africa; and to help the African continent with their God-given resources. Some of us already help Africa in different ways. My dream is to make an impact on the continent in the name of Jesus Christ, with both with the gospel and financial resources. Let us pray for Blacks all over the world, especially those still suffering injustices because of the color of their skin. Another very interesting and great blog. I find your thoughts most intriguing. I can't believe some of the comments you have gotten over the years from Brazilians - shocking to say the least for me. I know your take with over coming evil with good - But I still have one question. I know you mentioned being bitter on a previous blog and speak about prejudice on first hand. All this leads to me ask one question: How is God helping you get past your bitterness? Hos is God helping you not to become prejudice against those that have persecuted you? Because it seems like from your thoughts your bitterness is heavy and it leads you to be prejudice to those who've done you wrong in the past. I'd love to read a blog about hwo God is working in you! "I became hesitant about talking to light-skinned Brazilians because I am afraid of discrimination. I am asking God to change my heart. I know not all people discriminate." One bad experience messed up my perception of some light-skinned Brazilian people but things are much better now. The sad thing is that these are not all the bad experiences I went through. There are more recent one. God's helping me and this is how I deal with it: I search scripture and I educate those who are open to know that there is still racism out there and it needs to end. Just to give you an idea of what Blacks deal with, the KKK is still alive and well in my county for example and many members go to church too - I've talked to a leader a few years ago. The fact is, God's principles are eternal and true and the only place they will reign and rule is in heaven. While I'm on earth, I am responsible for keeping a pure heart. the more racism I experience, it becomes easier cause you develop a tougher skin to it. Hope this answers your question ;) Love you. Great post! I am also doing my part by teaching my kids every friday of Feb. about a black historical figure. Last friday was about Kunta Kinte who was a slave from my country of origin. And this friday we'll talk about Madame C.J Walker. I feel it's important to know and appreciate the rich black history, because their school does not celebrate or focus on other black historical figures other than MLK. I read your post and i can definitely identify with most of your experiences. I appreciate the hope you have for my continent(Africa). God bless you! I'm planning on doing the same for my little ones Riema! Love ya. Ótimo post Cíntia. Mas que triste saber que pessoas agem assim. Felizmente você segue a um Deus consolador que te ajuda a perseguir esta causa sem ressentimentos, mas com amor. Beijos!